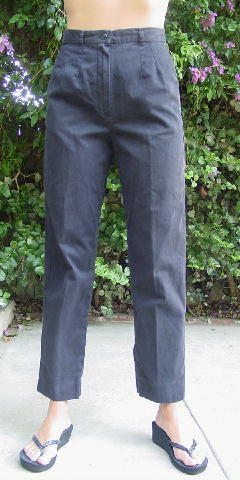 These black soft 100% cotton pants were made in Hong Kong by A/X Armani Exchange. They have a 6 1/2" long zipper fly and side seam slit deep pockets. On the upper right seam is a black tag with a white A/X logo. 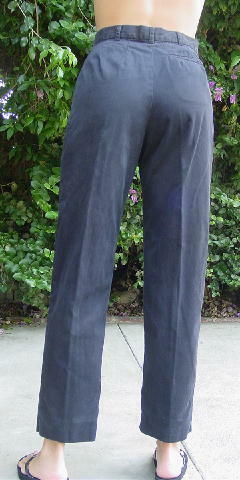 The back has an open right side pocket and the waistband has belt loops and a one black button closure. She wore them a lot.